Nalsarovar consists of a 120.82-sq-km lake with shallow waters (4-5 ft) and muddy marshland. Distance between Ahmedabad and Nalsarovar is 60 km. Migratory birds mainly inhabit Nalsarovar wetland as there wintering ground. 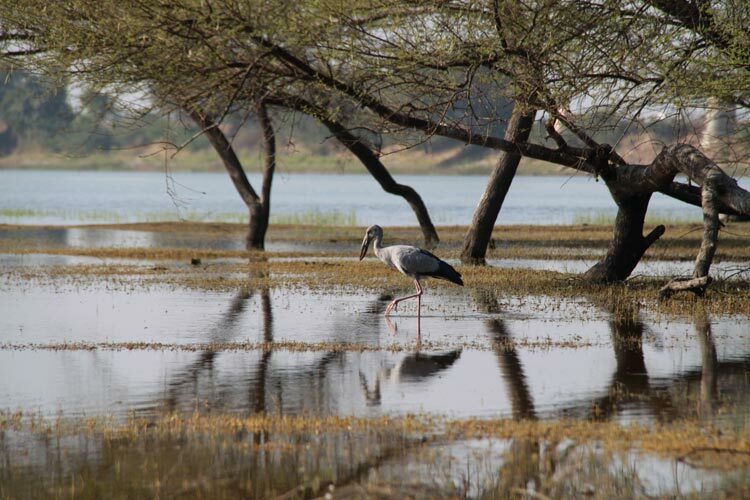 Nalsarovar is the largest wetland bird sanctuary in Gujarat, and one of the largest in India. Nalsarovar is a Bird Sanctuary since April 1969 and Nalsarovar is a Ramsar site since 24 September 2012.